On Tuesday the Wichita City Council will consider granting an exemption from paying property and sales tax for High Touch Technologies, a company located in downtown Wichita. Let’s take a look at some of the aspects of this company’s application and the city’s agenda packet material (available here). helpful in offsetting the substantial capital requirements: Well. Who wouldn’t appreciate help in offsetting the cost of anything? I think we can categorize this as unpersuasive. corporate stewardship programs: Underlying this argument is that because High Touch makes charitable contributions, it should be excused from the same tax burden that most of us face. Here’s a better argument: Be a good corporate citizen by paying your fair share of taxes, don’t ask the city government to force be to subsidize your business, and let me make my own charitable contributions. answer questions regarding this project or any of our business activities: This refers to how the members of the city council will make a judgment that this business is worthy of subsidy, and that others may not be. 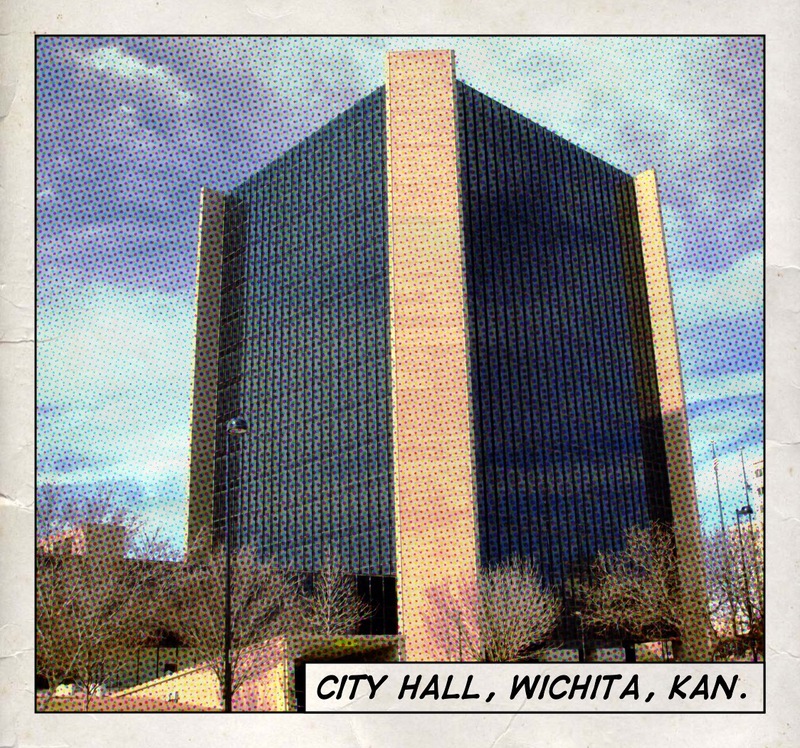 The notion that the City of Wichita can decide which companies are worthy of tax exemptions and investment is an illustration of what economist Frederich Hayek called a “conceit.” It’s so dangerous that his book on the topic is titled “The Fatal Conceit.” The failure of government planning throughout the world has taught that it is through markets and their coordination of dispersed knowledge that we learn where to direct capital investment. It is simply impossible for this city government to effectively decide which companies Wichitans should invest their tax dollars in. It will still make that decision, however. Payment in Lieu of Taxes (PILOT): High Touch is not proposing to totally escape its tax burden. Only partially so, through the PILOT. But the proposed payment is quite generous to the company. A few quick (and probably incorrect) calculations shows how small the PILOT is compared to what taxes would be. City documents indicate the proceeds of the IRBs will be used to pay for $2,000,000 of improvements. This amount of commercial property times 25% assessment ratio times 120.602 mill levy rate equals $60,301 in taxes. High Touch, through the PILOT, is proposing to pay $33,250, just a little more than half of what the taxes might be. These are back-of-the-envelope calculations using assumed values that may not be accurate, but this gives an idea of what’s actually happening in this transaction: High Touch is seeking to avoid paying a lot of taxes, year after year. If we take Chambers at his word, why does High Touch need this business welfare? Economic necessity is usually given as the justification of these incentives. Companies argue that there is no way the proposed investment is economic without taxpayer participation and subsidy. I don’t see this argument being advanced in this case. Interestingly, Chambers is currently co-chair of Visioneering Wichita, which advocates for greater government involvement in just about everything, including the management of the local economy. 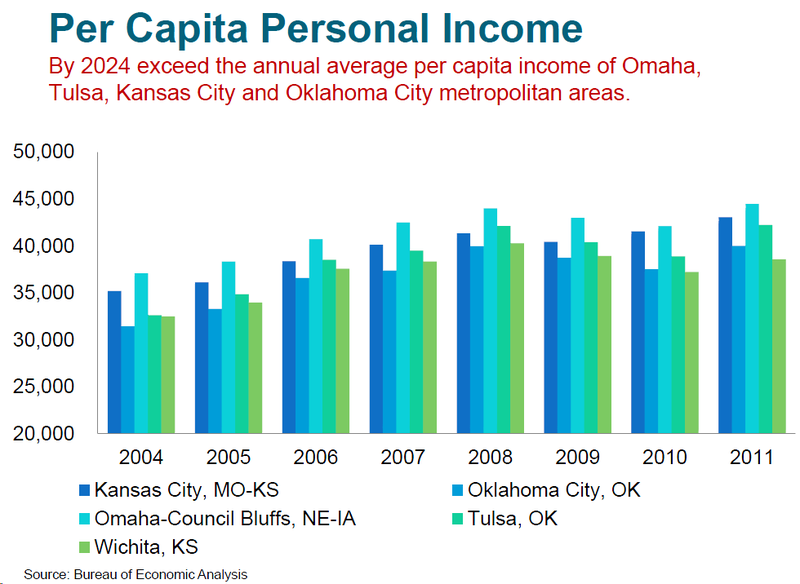 One of the benchmarks of Visioneering is “Exceed the highest of the annual percentage job growth rate of the U.S., Omaha, Tulsa, Kansas City and Oklahoma City.” As shown in this article and this video, Wichita badly lags the nation and our Visioneering peer cities on this benchmark. Visioneering officials didn’t want to present these results to government officials this year, perhaps on the theory that it’s better to ignore problems that to confront them. Now Chambers is slated to be the next chair of the Wichita Metro Chamber of Commerce. It’s quite likely that the Chamber, under his leadership, will soon recommend that Wichitans pay higher sales and/or property taxes to support the Chamber’s goals. These are the same taxes that Chambers’ company is asking to be excused from paying. Will this blatant cronyism be the template for next year’s management of economic development in Wichita? 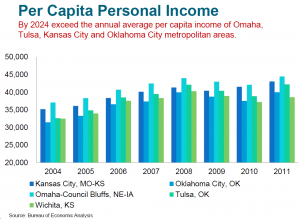 Let’s hope not, as the working people of Wichita can’t tolerate much more of our sub-par economic growth. A company asking for tax relief is different than an Individual asking for tax relief, Individuals have no means to recover increased taxes. I would also point out that FEES that Government or Utility Companies impose are a back door Tax to support those entities, these fees are balanced on the backs of Individuals who need those government services or that utility. Taxation “Without Representation” is a Fee imposed on Individuals.